Formula 1 will equal its longest ever season next year with a 20-race calendar following the return of the Mexican Grand Prix. 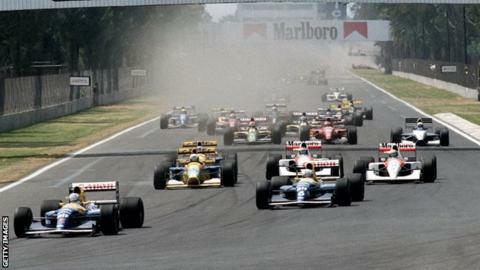 The Autodromo Hermanos Rodriguez in Mexico City will hold a race on 1 November, on a modified version of the track last used for F1 in 1992. The rest of the calendar announced by governing body the FIA closely follows this year's schedule. The season starts in Australia on 15 March, with the British GP on 5 July. Mexico is the week after the US Grand Prix in Austin, Texas, the pair making up the final set of four 'back-to-back' races, as it is known when there are grands prix on consecutive weekends. The others are the second and third rounds in Malaysia and Bahrain on 29 March and 5 April early in the season, Germany and Hungary on 19 and 26 July, and Singapore and Japan on 20 and 27 September. The season ends in Abu Dhabi on 29 November.